Towards Loan Market Structure: More Liquidity & Relief From Stressed Assets For Banks? The financial sector of the country is a major contributor towards the growth of the country. The sector comprises public sector banks (PSUs), commercial banks, insurance companies, Non-Banking Financial Companies (NBFCs), mutual funds, pension funds etc. 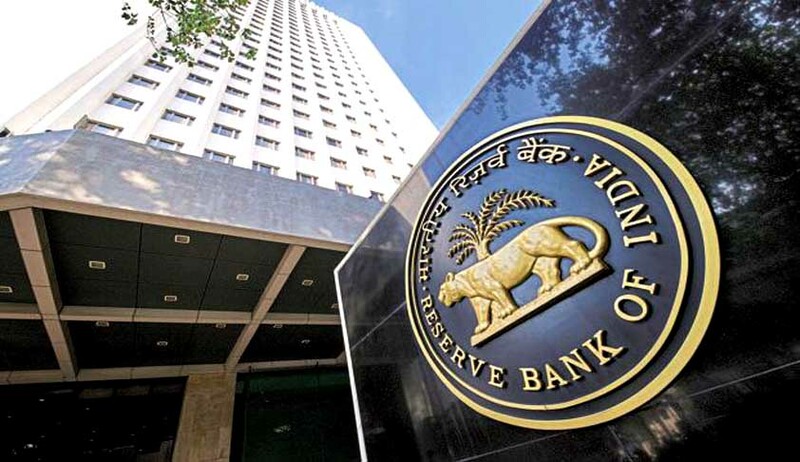 The 17th Financial Stability Report (FSR)[i] released by RBI in June has highlighted that the stress in the banking sector continues as gross non-performing advances (GNPA) ratio rises further. Profitability of SCB[ii]s declined, partly reflecting increased provisioning. Credit growth of SCBs picked up during 2017-18 notwithstanding sluggish deposit growth. Macro-stress tests indicate that under the baseline scenario of current macroeconomic outlook, SCBs’ GNPA ratio may rise from 11.6 percent in March 2018 to 12.2 percent by March 2019. The system-level capital to risk-weighted assets ratio (CRAR) may come down from 13.5 per cent to 12.8 per cent during the period; eleven public sector banks under prompt corrective action framework (PCA PSBs) may experience a worsening of their GNPA ratio from 21.0 per cent in March 2018 to 22.3 per cent, with six PCA PSBs likely experiencing capital shortfall relative to the required minimum CRAR of 9 per cent. Gross Bank Credit after showing growth in March 2018 (Rs. 77303 billion) has registered a decline of -0.5% (Rs. 76949 billion)[iii]. Mobilization of Resources Through Other Sources: As against this, the RBI report has noted that the resources mobilised by mutual funds (MFs) have been on an upswing for the past few years. During 2017-18, MFs’ assets under management (AUM) increased from ₹17.55 trillion in March 2017 to ₹21.36 trillion in March 2018. AUM from B-15 cities has grown 223 percent during the 5-year period from 2013-14. Further, the report also noted that over the years, the aggregate funds raised by the primary market has been on an upswing. There was an increase of more than 10 percent in the total capital raised during 2017-18 over 2016-17, excluding Alternative Investment Funds (AIFs). However, bond issuance (both public and private) saw a decline during 2017-18 compared to the previous year. Capital raised through initial public offerings (IPOs) increased substantially during 2017-18 over the previous year. Mutual fund equity portfolios have also registered a 10-year high of 49.3 million, by end of 2017. The number of listed companies on NSE and BSE increased from 6,445 in FY10 to 7,501 in March 2018[iv]. The two scenarios depicted above show contrasting pictures. While stress in the banking sector is on increase, the capital market is practically booming with an influx of funds. The RBI and the banking sector are relentlessly working to address the burgeoning issue of stress. The RBI even forced[v] the banking sector to take the Bankruptcy and Insolvency Code, 2016 (IBC) route to tackle some of the biggest cases of default. After the initial hiccup, the cases filed by financial creditors (prompted primarily by the Banking Regulation (Amendment) Act 2017) increased and about 38 percent of the admitted petitions were filed by financial companies (mainly banks). However, the haircuts continue to be an issue. The banking sector in India is facing challenging times due to low credit growth, deterioration in asset quality and low profitability. Stressed asset hampers banking activity and lending and margin. PSBs are reported to be falling short of the stipulated capital requirements under Basel III and may require Rs 2.4 lakh crore capital by 2019 to meet the norms. Tackling Stress and NPAs: RBI, the Central Bank of India, has been taking a number of steps to tackle this ever-burgeoning figure. The message through the direction of RBI has been very clear, “Default in servicing of loan cannot be ignored”. The problem has to be tackled when the account shows the first sign of stress and that too within a strict time frame. Taking default for granted is now a thing of past. Through February 12, 2018[vi] framework issue by RBI for resolution of stressed assets, RBI has put in place a strict timeline over which a resolution plan must be implemented, failing which stressed accounts must be referred to IBC. Banks have to initiate action immediately when the stressed account is on default, classify these accounts as special mention accounts (SMAs) depending on the period of default, report them to the RBI’s large credit database (CRILC) and begin resolution. Banks to report all SMAs with an aggregate exposure of at least ₹ 5 crore to the Central Repository of Information on Large Credits (CRILC) on a monthly basis. Additionally, defaults by borrowers having an aggregate exposure of at least ₹5 crore must be reported to CRILC on a weekly basis. Lenders are required to put in place board-approved policies for resolution. This was preceded by important amendment in IBC to tighten the noose around defaulters, whereby willful defaulters, defaulters whose dues have been classified as non-performing assets (NPAs) for more than a year and all connected persons of these firms were debarred from submitting resolution plans and from purchasing assets of corporate debtors in liquidation[vii]. However, promoters of MSME have been kept out of this prohibition unless he is a wilful defaulter or disqualified otherwise. Amendment has also opened a window for settlement after the admission of an application under IBC 2016, now Committee of Creditors with 90 percent of the voting share, may allow withdrawal of the application. It has thrown another challenge for Bankers (Financial Creditors) as the major decision of Committee of Creditors would require the support of only 66% of voting as against 75%. Thus, the escape route has been tightened both for lenders and borrowers[viii]. Sashakt[ix] which literally means “empowered” is the latest brainchild to tackle stress in the banking industry which is being pushed through the Indian Banks Association through a voluntary mechanism of the inter-creditor agreement. This inter-creditor agreement is the bedrock of the bank-led resolution approach (BLRA) for loans between Rs 50 crore and 500 crore. The mechanism also follows the pattern underlined under the IBC. The process will be led by lead bank and all decisions for resolution will be taken by a majority of 66% of votes of lenders which will be binding on all the other lenders. A separate mechanism has also been laid down for loans above Rs 500 crores. The plan envisages setting up of an independent asset management company (AMC), and an alternative investment fund (AIF) which would combine with asset reconstruction company (ARC) to take control of stressed assets and realize value for bankers and investors. The committee has also suggested an asset trading platform for both performing and non-performing assets of banks. The government has accepted the recommendations and banks have also signed the inter-creditor agreement to start the process. While the recommendations have been more or less on the lines of time frame laid down by the RBI in its February 2018 guidelines, process regarding setting up of AMC and AIF is still not clear. The one important point of consideration for the stakeholder, and which is yet to be tried in the Indian context is a suggestion for loan market set up in the country though Asset Trading Platform. Asset Trading Platform (ATP): The committee has suggested that an Asset Trading Platform should be created in the country for both performing and non-performing loans. Though new in the Indian context, the set-up is prevalent in many countries. Loan Market enables the lender to trade loan through an online trading platform for loans which can be used to sell loans for risk transfer, both performing and non-performing and also for live auctions for distressed loans. The committee felt that like in the syndicated loan market of the US, banks could also originate a model with other banks, and other asset managers can be the eventual investors. ATP will also offer an opportunity to the nodal institutions to provide credit enhancement, market making and warehousing for assets on the trading platform. Secondary loan trading market is expected to help banks sell off the loans from their books, in a way somewhat similar to securitization, but in a less cumbersome manner. The ATP process can improve the availability of funds with banks, and can eventually lower borrowing costs for companies as well[x]. Understanding Loan Market Structure: The loan market structure/securitization process involves (i) originator or seller. The original lender and seller of receivables like banks/NBFCs etc, (ii) borrower, (iii) issuer (SPV)/trust, who issues marketable securities (iv) arranger/investment bank responsible for structuring the securities. (v) investor such as banks, insurance funds, pension funds and mutual funds, (vi) rating agency (vii) Credit enhancement provider, who is also the originator, as a facility that covers any shortfall in pool collections in relation to investor payouts, and (viii) servicer, which would collect from borrowers, makes payouts to investors these are mostly originators. Pricing: Usually arrangers evaluate the risk inherent in a loan such as default risk and loss-given-default risk based on ratings, credit statistics, industry sector trends, management strength, and sponsor. Based on risk appetite the loan market is usually divided into (i) Investment grade and (ii) Leveraged. Types of Securities Available: The Indian system offers mainly asset-backed securities which are backed by receivables from vehicle and personal loans, credit cards, and other consumer loans. There are securities which are mortgage-backed, mainly housing loans. Thirdly, there are collateral debt securities consisting of commercial loan and corporate loans. These securities are structured based on their cash flow such as (i) par structure and (ii) premium structure. Par structure requires the investor to pay consideration equal to the principal component (par value) of future cash flows and in turn it receives return out of repayments and the contracted yield every month. In premium structure, on the other hand, the investor gets entire cash flow from the pool and pay consideration which is greater than the principal component of future cash flows. These arrangements enable banks to take the assets off their balance sheet while retaining their earnings on such assets thereby helps them to a lower capital requirement risk ratios. It also frees their capital for further lending. The process also enables other market players such as insurance funds, pension funds, provident funds, and mutual funds and institutional investors who otherwise are not part of the lending process (which puts the entire burden of lending on banks), to participate in loan transactions. The Process & Challenges: Transfer arrangements could be through (i) novation, (ii) legal assignment, (iii) equitable assignment and (iv) through sub-participation. The first two methods would also bring contractual obligations of the lender to the transfer such as cash credit transactions etc. In such transaction, consent of all the parties is required. Novation transactions are effected through transfer certificate which forms part of loan documents. Assignment, on the other hand, would only transfer right and not the obligations of loan transaction and obligation of existing lender continue to be performed by the same. Assignment has to be notified to the borrower. But such notice is not required in equitable assignment. Sub-participation (which could be funded participation or could take the form of risk participation) is basically an arrangement between the original lender and the investor and does not involve transfer legal or beneficial interest in the debt and the investor does not get any directly enforceable rights against the borrower. Borrower consent is not usually required and transaction remains confidential. Existing documentation used by banks in India could pose a challenge for loan market operations if such documents do not contain provisions for sale/assignment of loans and securities. Similarly, confidentiality clause in loan documents could also restrict marketing and loan assessment as the investor might be interested in doing its own due diligence of loan transaction. This may require the borrower’s consent. Legal Basis for Transaction on Loan Platform: Cash flow under a loan is a derivative product which can be securitized. Transfer of such product would attract provisions of the Stamp Act, The Transfer of Property Act, 1882, The Negotiable Instruments Act, Registration Act, and registration charges in case of mortgage-backed securities. The RBI has issued guidelines for securitization and direct assignment of loans. Under RBI guidelines, originators should retain a portion of each securitization pool originated, as a tool for incentive alignment and effective screening of loans. In addition, a minimum period of holding of loans prior to securitization was introduced to ensure that a minimum asset quality is demonstrated prior to securitization and to put a check on the underwriting standards of the originator[xi]. Legal recognition is laid under the Securities Contract (Regulation) Act, 1956. The Act has given recognition to ‘security receipts’ and also defines the terms such as ‘financial assets’ and ‘securitization’. Securitization trusts are defined by the RBI and the Securities and Exchange Board of India (SEBI) under the Finance Act, 2013. The RBI also governs the registration of securitization companies and the sale of assets by the originator to the company. SEBI (Public Offer and Listing of Securitised Debt Instruments) Regulations, 2008, provided for disclosure-based regulation for public issue or listing of securitized debt instruments on the recognized stock exchanges with a view to develop a market for securitized debt instruments. SEBI notified SEBI (Public Offer and Listing of Securitised Debt Instruments) Regulations, 2008 on May 26, 2008, which provided a legal framework for the trading of securities. The issuer has to form a trust which needs to be registered with SEBI. The securitized debt instruments issued to the public or listed on a recognized stock exchange shall acknowledge the beneficial interest of the investors in underlying debt or receivables assigned to the issuer. The assignment of assets to the issuer shall be a true sale. The debt or receivables assigned to the issuer should be expected to generate identifiable cash flows for the purpose of servicing the instrument and the originator should have valid enforceable interests in the assets and in cash flow of assets prior to securitization. Originator shall be an independent entity from the issuer and its trustees and the originator and its associates shall not exercise any control over the issuer. However, the originator may be appointed as a servicer. The issuer may appoint any other person as servicer in respect of any its schemes to coordinate with the obligors, manage the pool and collection therefrom, to administer the cash flows of asset pool, and for distribution to investors and reinvestments. The issuer cannot acquire any debt or receivables from any originator who is part of the same group or which is under the same management as the trustee. Regulations require strict segregation of assets of each scheme. Rating from at least two credit rating agencies is mandatory and all ratings including unaccepted ratings shall be disclosed in the offer documents. Conclusion: Thus, the basic legal framework and expertise is already in place which needs only to be upscaled to set up a full-fledged market structure. The loan market structure could offer additional option to strengthen the capital base of banks and provide more options to investors and to different funds while enabling the bank to continue their lending operations as usual. However, some of the legal issues arising out of stamp duty and registration law need to be addressed for wider market participation. Mukesh Chand is General Manger (Legal), Small Industries at Development Bank of India. [i] Financial Stability Report released by RBI on June 26, 2018. [iv] Excerpts from FSR of RBI. [v] May 22, 2017, Reserve Bank of India Outlined the action plan to implement the Banking Regulation (Amendment) Ordinance, 2017. [vi] DBR.No.BP.BC.101/21.04.048/2017-18 Circular dated February 12, 2018- Resolution of Stressed Assets – Revised Framework. [vii] The Insolvency and Bankruptcy Code (Amendment) Act, 2017- NO. 8 OF 2018 Notified on 18th January, 2018. [viii] The Insolvency and Bankruptcy Code (Amendment) Act, 2017- NO. 6 OF 2018 Notified on 6th June, 2018. [ix] High-powered bankers’ committee appointed by the Finance Minister and headed by Mr. Sunil Mehta, Chairman of PNB on the issue to deal with bad loans. [x] Sunil Mehta Committee Report. [xi] Reserve Bank of India (RBI) issued on May 07, 2012 on the Transfer of Assets through Securitisation and Direct Assignment of Cash Flow.